“Invented by the Muslim Brotherhood in order to stop discussion of a major issue”. 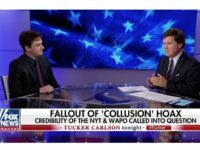 The excerpts were tweeted by the article’s notoriously woke author George Eaton, presumably with a view to generating the furore which would get Scruton sacked. If this is the worst that Scruton said – and presumably it was or we would have been told by now – then it seems that his two mistakes were a) to have spoken unpalatable truths too bluntly to a leftist publication and b) to have accepted a position with a Conservative government too craven and politically correct to defend either truth or principle. After all, the invention of Islamophobia by the Muslim Brotherhood as a way to close down criticism of radical Islam is not a slur but a well-acknowledged historical fact. Ditto the destabilising influence of left-wing, open-borders agitator Soros in his native Hungary – which is the reason Orban (with wide public support) closed down Soros’s university in Budapest. As for the Muslim “invasion” – encouraged by German Chancellor Angela Merkel: it is a matter of public record that the migration crisis, involving predominantly Muslim migrants, was instrumental in helping to secure Viktor Orban the Hungarian presidency. The remark on the Chinese may be bluntly expressed but it is clear from the context that there is no racist element to his criticism. Scruton is talking about the effects of the Communist regime on the Chinese people, not making casual slurs about their racial characteristics. But you would not guess this by the general overreaction. Scruton has been condemned not just by left-wing publications such as Buzzfeed but also — and if anything with even more sanctimony and vitriol — by the supposedly right-wing Sun. While leftists have understandably been crowing over a prominent right-wing scalp claimed, squishy Conservative MPs – including former Chancellor George Osborne – have been falling over themselves so signal both their virtue and moderation by piling on the distinguished philosopher with their confected outrage. Tory MP Johnny Mercer said it was a “no brainer” that he should be sacked. Tugendhat’s line is especially glib and dishonest – and should worry any Conservative voter concerned at the relentless leftwards drift of Theresa May’s Conservative-in-Name-Only party. After all, the line that an attack on Soros represents a form of veiled anti-Semitism is a purely leftist trope, cunningly invented by Social Justice Warrior propagandists as a way of offsetting justified criticism of their most munificent benefactor. But the intervention of sleazy Osborne really is the icing on the cake of sanctimony. Scruton was, of course, appointed to the position as the Conservatives’ housing tsar for two reasons: first because of his considerable expertise and sensitivity in the fields of architecture, tradition and aesthetics; second, in a somewhat cynical attempt to stave off criticisms that despite being a notionally Conservative government it only ever seems to appoint the usual left-liberal suspects to this kind of advisory position. 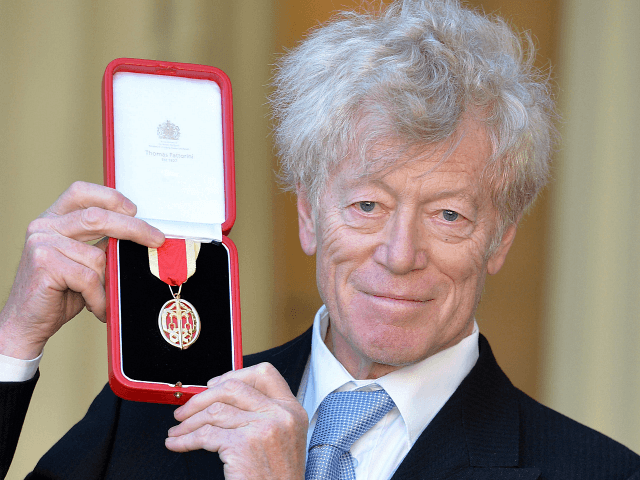 The fact that Scruton has been sacked for expressing the sort of robust conservative viewpoints he has been expressing throughout his long and distinguished career speaks volumes about the government’s embarrassment by genuinely conservative ideas and about its unutterable cowardice when it comes to defending either freedom of speech or moral principle. But perhaps this is all for the best. The Conservative party in its current state is a national embarrassment. It would be a shame if a man as brave, intellectually distinguished and highly principled as Sir Roger Scruton were to tarnish his reputation by associating himself too closely with it.